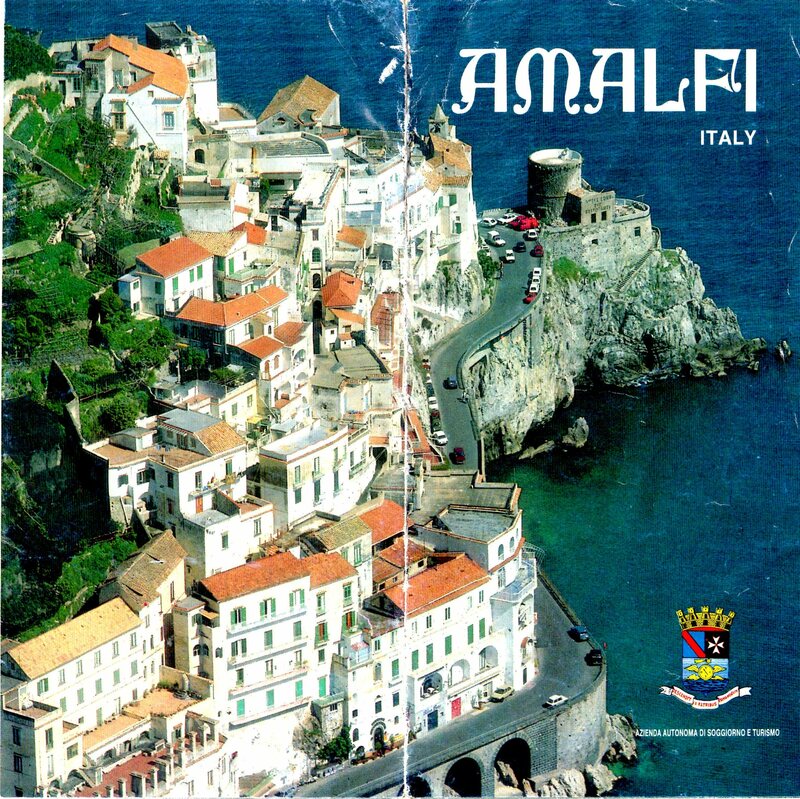 Why is the Amalfi coast considered one of the most breathtaking coastlines in the world? 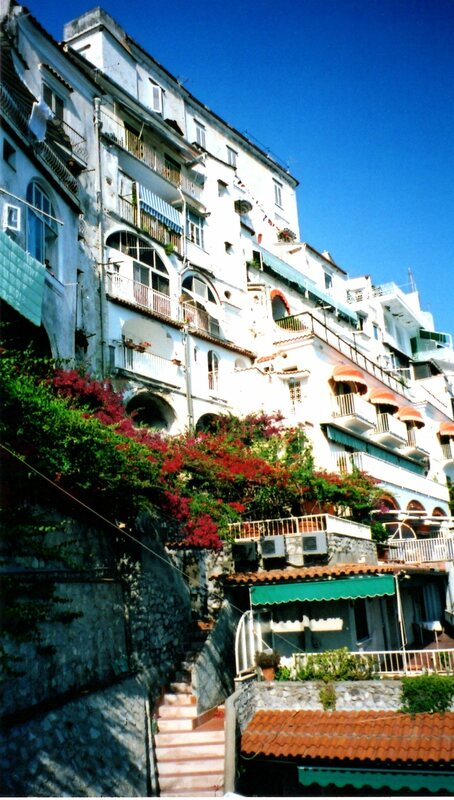 Is it the whitewashed cliff-hanger villas tumbling down the hillside to the sea? 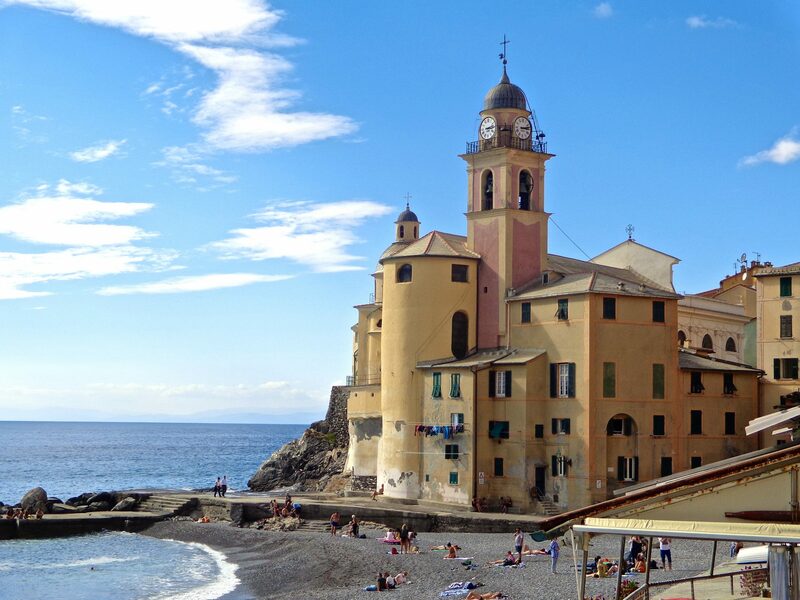 Or the sparkling expanse of the Mediterranean that comes up to the doorsteps? The long sandy beaches with sunbathers frolicking in the surf? 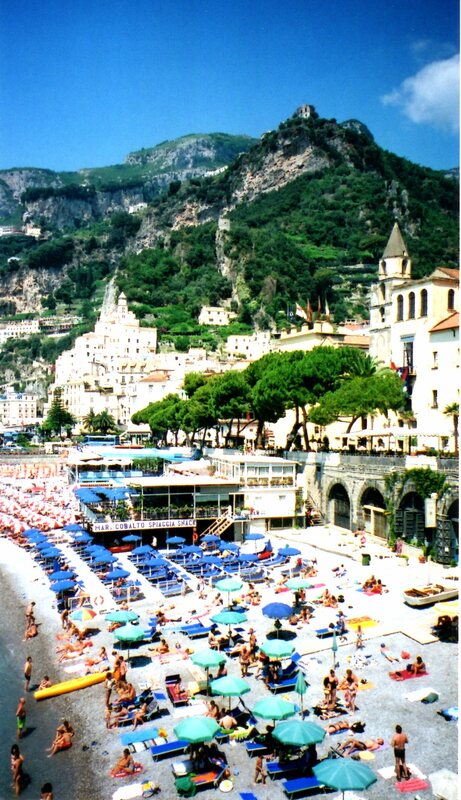 The Amalfi coast is all of these and more. 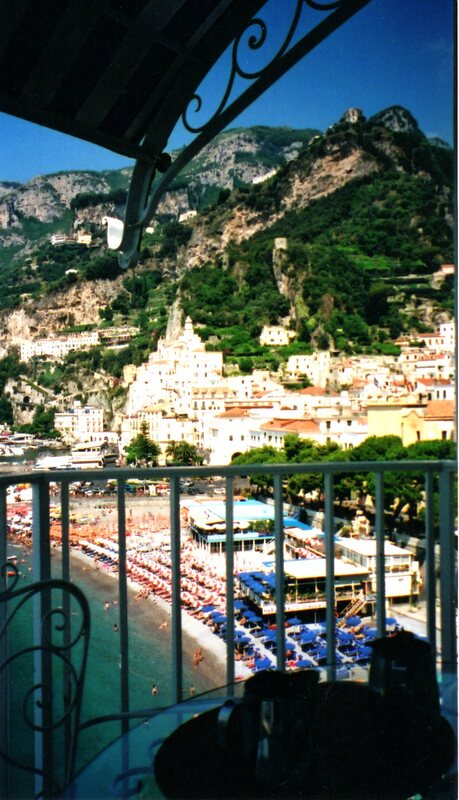 A few summers ago, we had the good fortune of spending a couple of days right in the town of Amalfi, which is small and oriented close to the water. 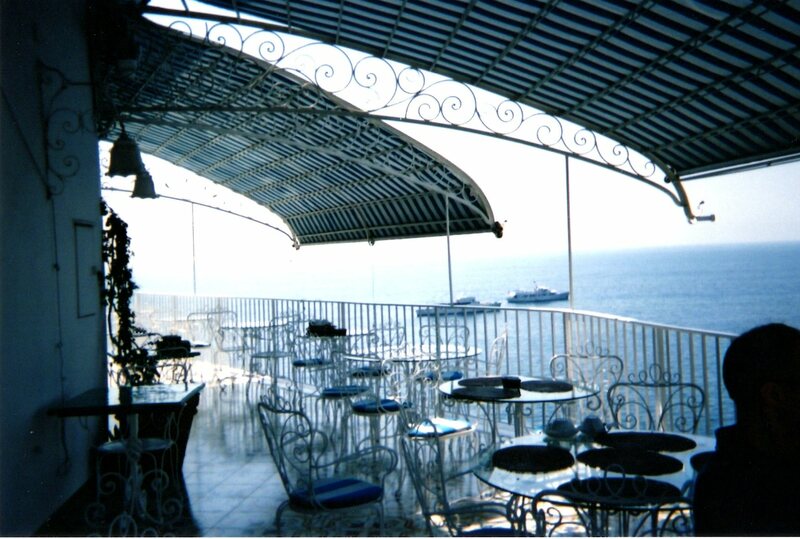 Our hotel loomed over the Mediterranean with the narrow coastline road directly below us. 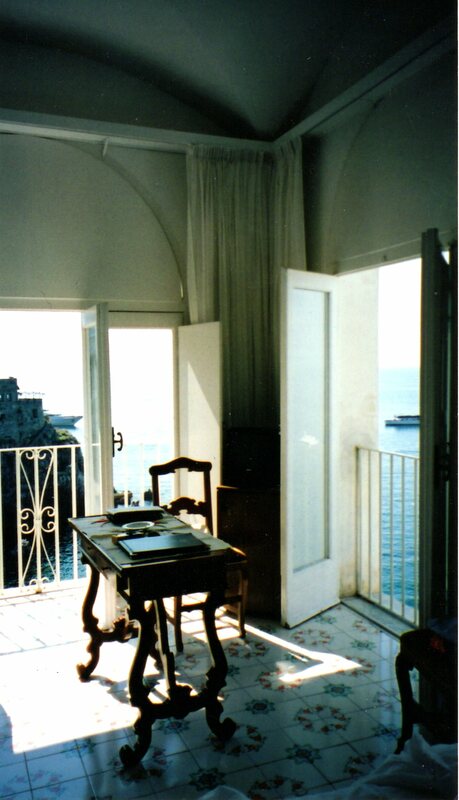 Our room in Amalfi, looking out at the Mediterranean. This is where we watched fireworks. I could live here…..
Hotel Terrace where we had breakfast. We found lodging at the Hotel Marina Riviera and would highly recommend it. The white lofty room was spacious, colorful and drenched with light. Tall wood-rimmed glass doors opened out to the sea offering an expansive view of the Mediterranean, while delicate white railings decorated the openings. Salty sea breezes passed through, gently rustling the curtains and cooling our sun-warmed bodies. Long sandy beaches are just a short walk down the road. Before leaving the hotel, however, a word of caution-be careful when crossing the street. Cars and buses, passing within inches of each other, zoom by on the narrow two-lane Amalfi coastal road, and sidewalks don’t necessarily exist. The Mediterranean is a 500 ft. drop below, and during the summer local cars are allowed to be driven only every other day, depending on even and odd license numbers. The night we stayed, which was June 27th, it happened to be the feast of St. Andrew. Taken by surprise, we witnessed a grandiose fireworks display from a large ship right in front of our room. The road below us was crammed with onlookers trying to get a good view. We threw open our doors to the ocean, poured glasses of wine, pulled up chairs and enjoyed the best seats in the ‘house.’ Perfectly romantic. Terraced hillsides up and down the Amalfi coast are alive with large yellow lemons between February and October. Limoncello, a locally made liqueur, is a popular drink produced from these lemons. Traditionally made from the zest of femminello St. Teresa lemons, also known as sfusato lemons, the peel is steeped in grain alcohol until the oil is released. This resulting yellow liquid is then mixed with a syrup. 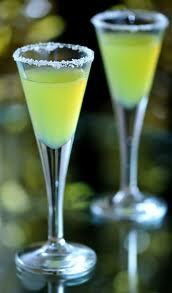 I found it very refreshing as an after dinner desert drink. The Amalfi coast is full of interesting nooks and crannies. With so much to offer, I think it only fair to explore the more fascinating aspects that are often overlooked-A grotto infused with brilliant light, a Cloister of Paradise and the Terrace of Infinity. Stay tuned.